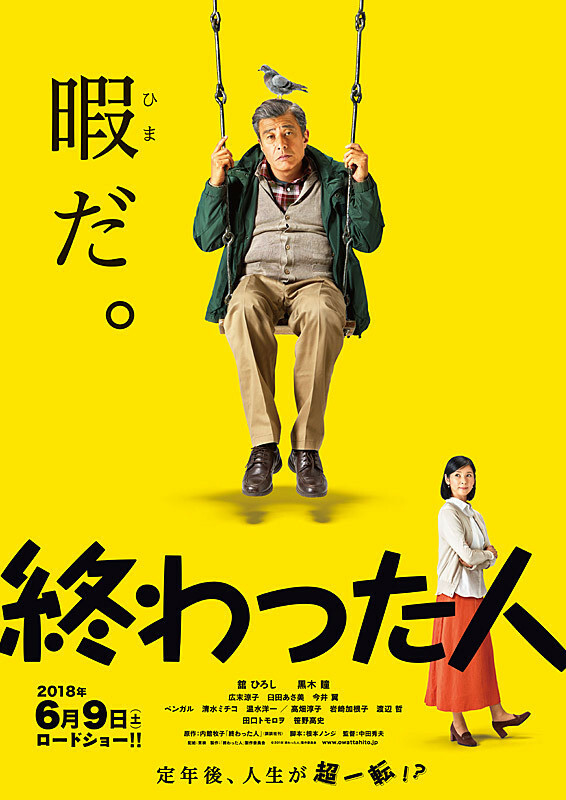 This is exactly the type of Japanese movie that I like the most: some sort of family drama that touches us (and often makes us cry) but which, in the end, makes us feel good and laugh. It is so perfectly enjoyable! And the seamless storytelling, the bright, well-framed and beautiful photography, as well as the nice soundtrack (particularly the beautiful song 「あなたはあなたのままでいい」 [Anatawa Anatano Mamadeii / “You can stay as you are”] by Miki Imai) really show the mark of an experienced filmmaker. Strangely, Hideo Nakata is mostly known for his horror movies (Ring, Chaos, Dark Water, Kaidan, etc.) so it is really surprising to see him direct for the first time a more traditional Japanese comedy! This is probably his way to tell us that he is not finished yet and that he can be a polyvalent creator. He does that brilliantly. Unfortunately, he didn’t arrive in time to present the movie and do the Q&A for the first screening at 11:30, and that was a great disappointment for me (I knew I should have gone to the 21:30 screening!). The quality of the production as well as Nakata’s fame makes of Life in Overtime a great contender for the competition. It is surely the best Japanese film I’ve seen at the festival so far this year. Sosuke studied at the top university in Tokyo and finds himself on the path for an executive position at a large bank, but gets beaten by a rival and ends up finishing his career at a subsidiary branch. He already feels he’s a failure but, when he retires, he finds himself with no hobbies, no dreams, no job and no sympathy at home! What to do? He feels “Retirement is like a premature funeral (…) I don’t want my life to end like this!” It’s like the game is over but you continue to play in overtime in hope to finish on top (I like this idea)! He tries to find a new purpose in order to make up for his failures. He looks for a new job but his impressive resume torpedoes his efforts. He considers going to graduate school to study literature, makes an attempt at a new romance or, after a chance meeting with the CEO of an IT company, try to start a new career but without any success. However, does it really matter as long as you have a life to enjoy? Life in overtime, with its sadness and joy as well as its beautiful scenery, gives us plenty to ponder and an excellent movie experience. It is certainly a must see. Screened at the Cinema Imperial (Sun. 08/26 at 11:30) as part of the “World Competition” program of the 42nd Montreal World Film Festival. The director wasn’t at the 9:30 P.M. screening either though.